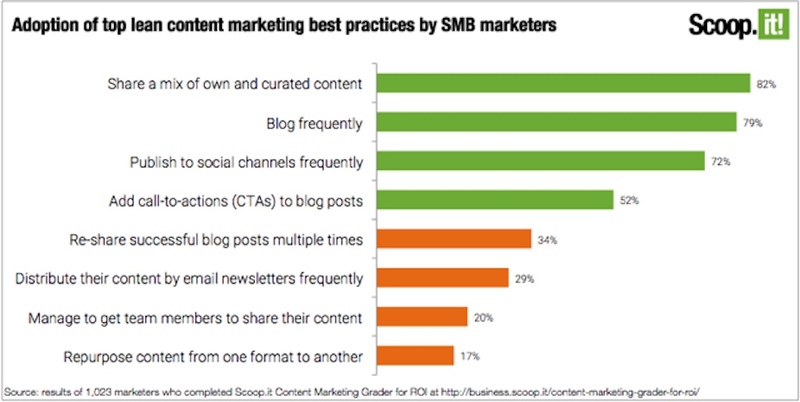 Every content marketer wants more results from their content. More engagement. More traffic. More leads. More shares. You name it. Most of us choose one overarching strategy to pursue those KPIs: We create more content. Every single year, we create more and more content. The “more is better” strategy can work – to an extent. But it gets exhausting after awhile. Both for us and for our readers. The content creation hamster wheel also results in a ridiculous amount of content being published every day. More than our audience can possibly consume. Be honest: Have you read every piece of content your company has published? Maybe there’s a better way. Maybe we can get exposure and engagement not just because our content is everywhere, but because it is better. “Better” as in more useful. More insightful. More enjoyable to consume. If our content was better, it would get found via shares (average content gets very few shares). Or maybe it would be curated by others. Or maybe it would get more links (which average content, alas, gets very few). “Better” can mean many things, of course. But one way that seems to be better is to be interactive. Interactive content is having quite the run. It’s not surprising – when two million blog posts are published every day, the prospect of playing around with a quiz or an assessment might seem downright refreshing. 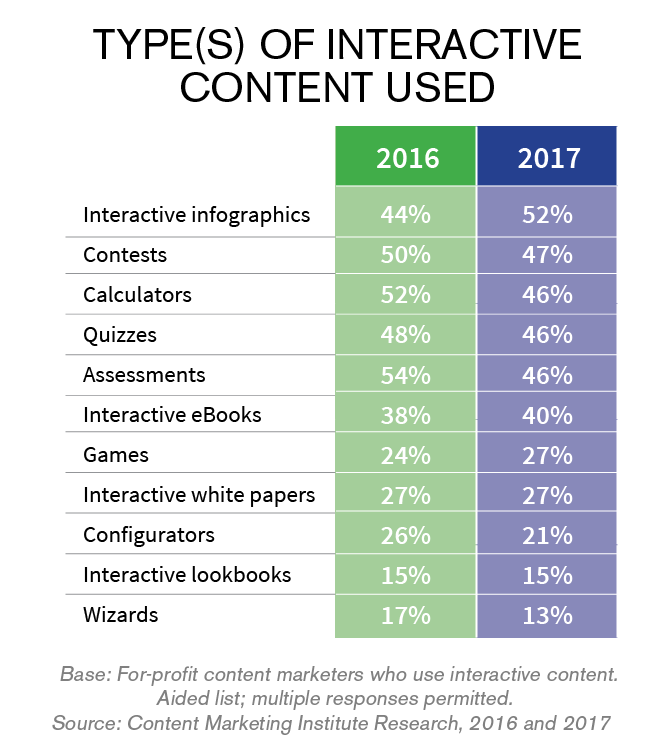 The marketers who have been using interactive content report good things about it, too. Most of them plan to make more of it. The good reports on interactive content aren’t too surprising, actually. It beautifully addresses most of the problems content marketers have today. 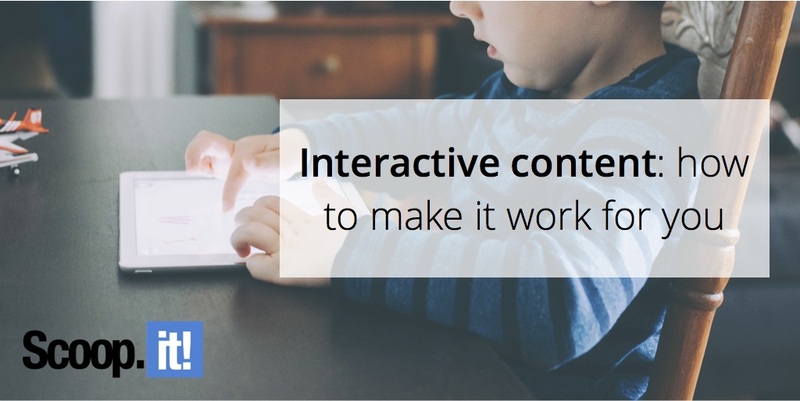 Interactive content gets lots of engagement. It is, by definition, a format for engagement. Every click you make responds to you, and so you are far more likely to remember your experience with interactive content. Interactive content attracts lots of web traffic. 79% of marketers say they’ve seen more website traffic after using interactive content. Interactive content is great at getting leads. This is especially true for quizzes and assessments. When a visitor has finished their quiz or assessment, just offer them additional information (like how their answers compare to others) in exchange for their contact information. Interactive content is usually personalized content. Assessments, quizzes, configurators, interactive white papers, and infographics – they all adapt themselves to you. And so bring can bring the major trend of personalization into this too. Interactive content is an ideal reformatting product. In fact, when you want to get started with interactive content, it’s best to pick a piece of static content that’s already performing really we for you. Interactive takes some investment and time to create – especially when you’re new at it. So increase your chances of success by choosing content that’s already doing great, and make that interactive. You don’t need an exhaustive list here, just figure out what your 3-5 best-performing pieces of content are. Once you’ve got your shortlist of extra-awesome content, get to know it really well. Often, it’s just one table in a blog post that should become the interactive element. Or maybe it’s a section of an ebook. Whatever it is, you need to really know the raw materials you’re working with. You also need to align them to your business goals. For instance, if you want exposure for your brand, then a top-of-the-funnel quiz might be a good choice. Or maybe you want to set up a great lead nurturing program. Then you might want to build an assessment tool, and follow it up with an email drip campaign based on how people filled out the assessment. That’s what we’ve done with our Content Marketing Grader, and it’s worked out really well. This table might help inform your decision. So you’ve got your super-shortlist of content elements, and you know what type of results you want to generate with that content. Now you just need to envision what the interactive version of this content will be. Familiarize yourself with the popular content formats, but take them as a suggestion more than a rule. Choose whatever interactive content type will best suit the content you have already, and that will also support your business goals. One last thing: Think “mobile first”, in that you should design your interactive content for mobile users first. Then mock up a more elaborate version for desktop users, if you choose to do so. There are hundreds of interactive tools available. But some are better than others, and some are also far more expensive than others (Think “minimum spend of $50K.”). You could, of course, hire a developer to build you a custom tool – and many marketers have. But that gets expensive, too. So before you fall in love with a tool, consider whether it requires a one-time purchase or a monthly fee. A one-time purchase of $500 might seem high to some of us, but that’s actually cheaper than spending $35 a month for two years ($840 total). If you’ve got some budget (like $1,000 or more), look into the two big interactive agency tools – Ion Interactive and SnapApp. They both offer a lot of different content formats, templates, support and training. Check out Content Tools, too. They offer a bunch of formats. For those of us who want to try one or two tools separately, here’s a short list of possible options. These are all priced below $100 a month, and have good reviews and features. 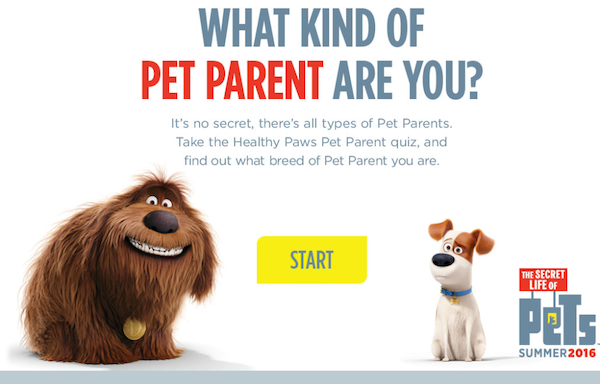 Plan on spending about a day or less on a small piece of interactive content, like a quiz. For an assessment or a more complex interactive tool, you may need to spend up to a week building it – even with a good tool. Invest the time according to how much of a result you plan to get. Here’s a quiz from Qzzr that was used to promote a movie. One idea for how to get more results from this: If the marketers figured out a way to get peoples addresses (like giving them a chance to win free tickets, for example) then they could send a personalized follow-up drip campaign to these people based on which type of pet parent they are. It’s really tempting to get a new interactive widget working, and then want to publish it right away. Refrain from that. Instead, think of your cool new tool as a first draft. Test it on your mobile devices (because you build it for mobile, right?) Then have members of your team play around with it a bit. Be prepared to edit the tool a bit based on how people interact with it. Often, we get so excited that we suddenly have a working quiz that we kind of assume we’re done. Put a little extra time in to make it as good as possible. “It works!” is not good enough. Hopefully… you fit the launch/publication of his new interactive content into your editorial calendar so it hits at an opportune time. Like just in time to complement a webinar or a trade show, for example. It’s just like with any other piece of content: Once you publish, you promotion work has just begun. So go out and promote that interactive tool. Share it and reshare it on social media. Maybe buy some advertising to give it a boost. Do some email outreach to influencers. Announce it in your own newsletter. Make a big deal of it on your site. Extra credit: Look through old web pages and blog posts to find opportunities to link to the new tool. That will help it rank faster. 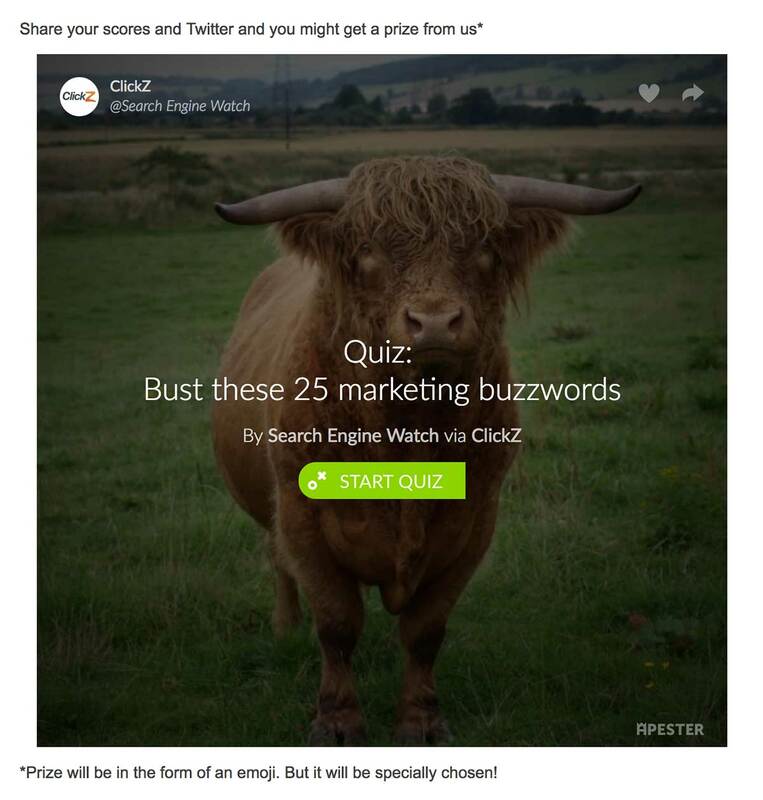 You can also add a contest element to your interactive content, like Clickz has done below. Unfortunately, I worry that just picking an emoji isn’t a very good prize. A $5 Starbucks card to buy the winner a cup of coffee might have gotten more response. This is one of the biggest advantages to interactive content – it can give you a ton of feedback about your audience. How they answer questions, which options they choose, what they don’t interact with – that’s all valuable information. Track it and review it. You might pick up some business insights. Some of those business insights could be used for a research project and report. That’s what we did with information we got from the Content Marketing Grader – we had everyone’s answers, so we were able to do a nice study on which tactics content marketers are using today. If you’ve been holding back on interactive content, it’s time to move forward. Just be strategic in how you start – don’t just do an interactive infographic because you think they’re cool. Instead, pick a few content elements that have been working unusually well, and then adapt them into the appropriate interactive format. 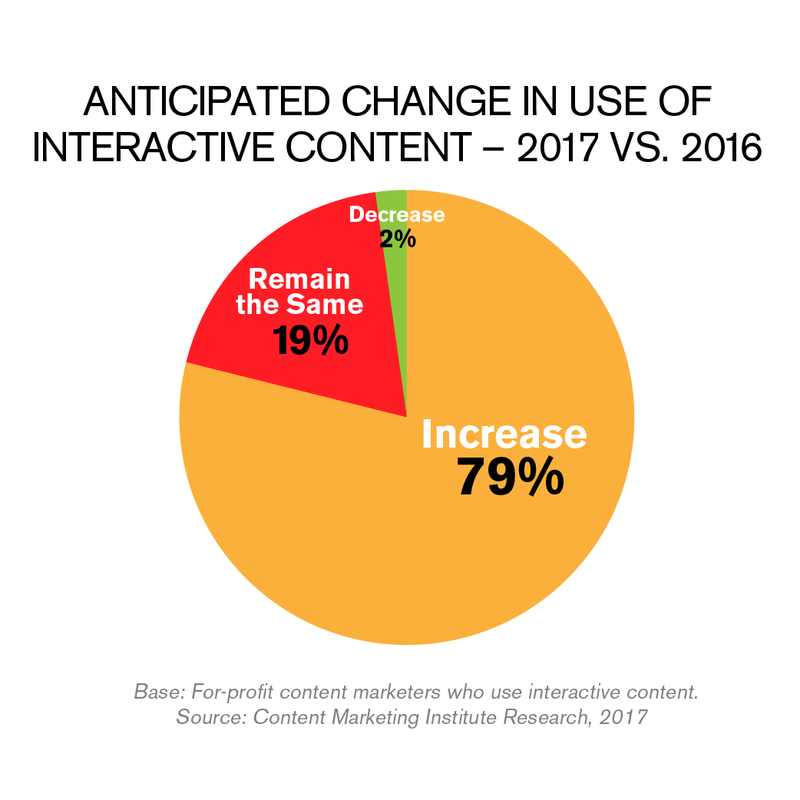 Hopefully, you’ll be among the majority of content marketers who get more traffic, more engagement, and even more leads from their interactive content. Have you tried any interactive content this year? How did it work out? Tell us about it in the comments. 2 Comments on "Interactive content: how to make it work for you"
Hey Pam, awesome research and resources! I’ve noticed a recent rise in ecommerce brands running quizzes (especially in the fashion space) as well as more and more content marketers bringing up interactive content. 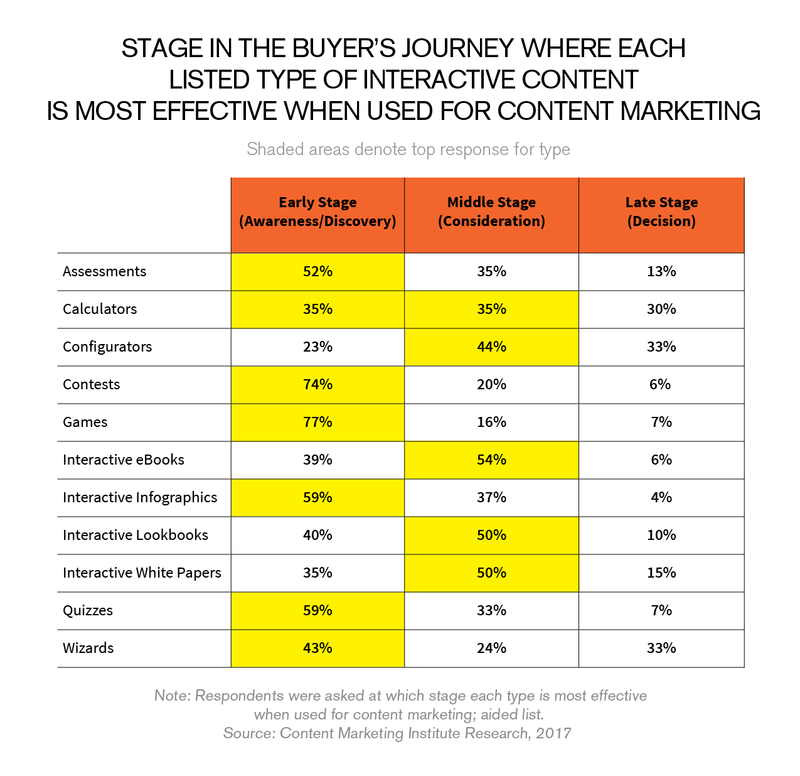 With so many blog posts floating around it definitely seems like creators who integrate more interactive elements will set their content apart from the pack. Again, great stuff! This is an awesome list! We’ll try to use calculators and wizards more often. Thanks!